Each SeaKlear Weekly Pool Care pod is specially designed to replace your regular clarifier, phosphate remover and enzyme treatment, so you can leave those bottles behind. 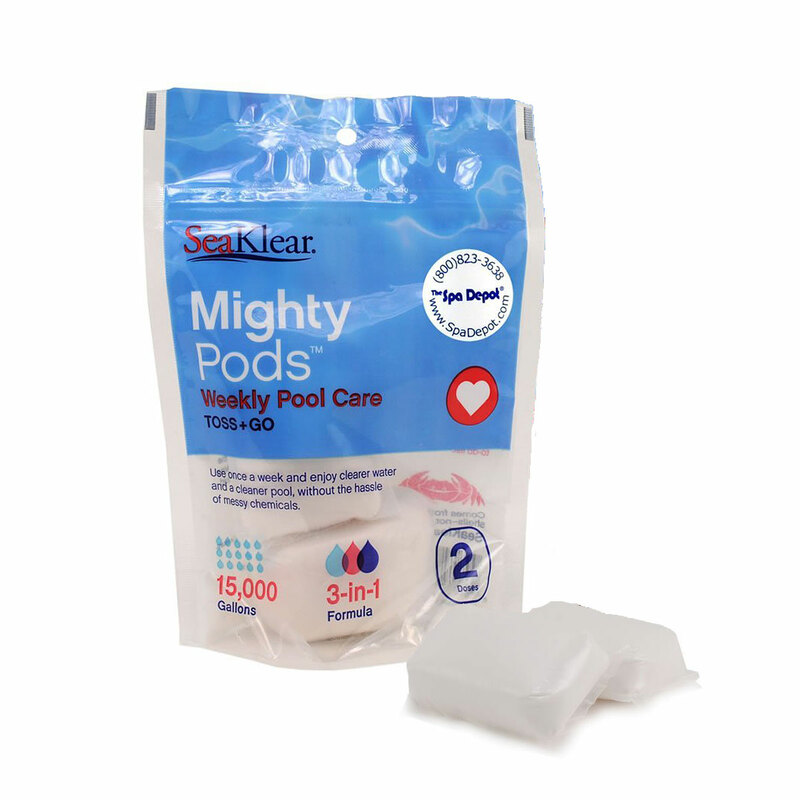 Mighty Pods are the ideal weekly pool care solution to prevent 3 common issues: cloudy water, phosphates, and scummy build-up. Mighty Pods Toss + Go Weekly Pool Care keeps your pool looking great without all the hassle. Just toss one pod in your pool’s deep end to treat cloudy water, phosphates, and scummy build-up. Ditch the heavy bottles. It’s three solutions in one and your to-do list is done! Your pool water may turn cloudy around the Weekly Pool Care pod once it starts working. Don’t worry, though – the cloudiness should clear up within a few minutes.